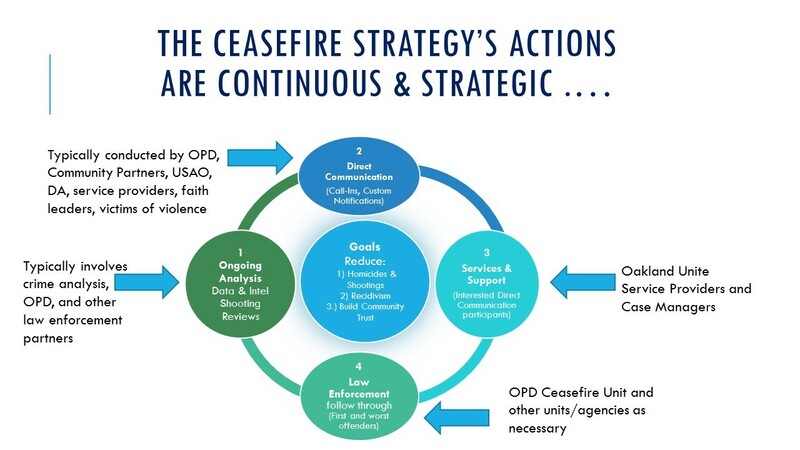 Ceasefire is a data-driven violence-reduction strategy coordinating law enforcement, social services, and the community. The major goal is to reduce gang/group-related homicides and shootings. Ceasefire seeks to combine the best of community energies, social services, and strategic law enforcement to reduce gun violence associated with gangs/groups far more effectively than these entities operating alone. 1. Reduce gang/group-related shootings and homicides: Ceasefire focuses on the most violent gangs/groups and individuals who are at the greatest risk of shooting or being shot. We communicate directly with individuals through large group meetings ("Call-Ins") or by meeting with them one-on-one ("custom notifications"). Ceasefire includes community outreach, services and support and, when necessary, multi-agency law enforcement action focused specifically on gangs/groups and individuals who continue to engage in violence. Ceasefire Commander Cpt. Ersie Joyner (center) leads meeting with Bay-Area local, state and federal law enforcement agencies. Their specific focus is on those who continue to be involved in violent crime. 2. Decrease recidivism and incarceration rates of individuals participating in the intervention: Outreach and support services are provided by Oakland Unite, the violence prevention division in the Human Services Department that coordinates a network of citywide community-based direct service organizations all dedicated to helping participants by offering real alternatives, resources, advocacy and mentoring. Clear lines of separation between Oakland Unite’s service providers and law enforcement is a critical element to effective service provision and relationship building with program participants. Stefania Kaplanes (Highland Hospital) and Peter Kim (Oakland Unite) discuss options for services for Ceasefire clients. 3. Strengthen police-community relations: Vital to the success of the Ceasefire Oakland strategy are community and faith leaders. Partners like Oakland Community Organizations and Brotherhood of Elders provide leadership, advocacy and resources from a community perspective that strengthen the spectrum of support for participants, while pushing for mutual accountability and transparency among all partners in achieving the strategic goals. Rev. 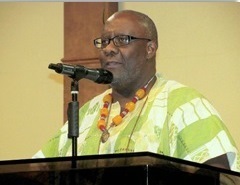 Dr. George Cummings, pastor of Imani Community Church and Chair of the Ceasefire Steering Committee, accepts the Neighborhood Champions’ Award, recognizing his work with Ceasefire Oakland. In Oakland, data indicates that the majority of shootings and homicides involve gangs/groups. 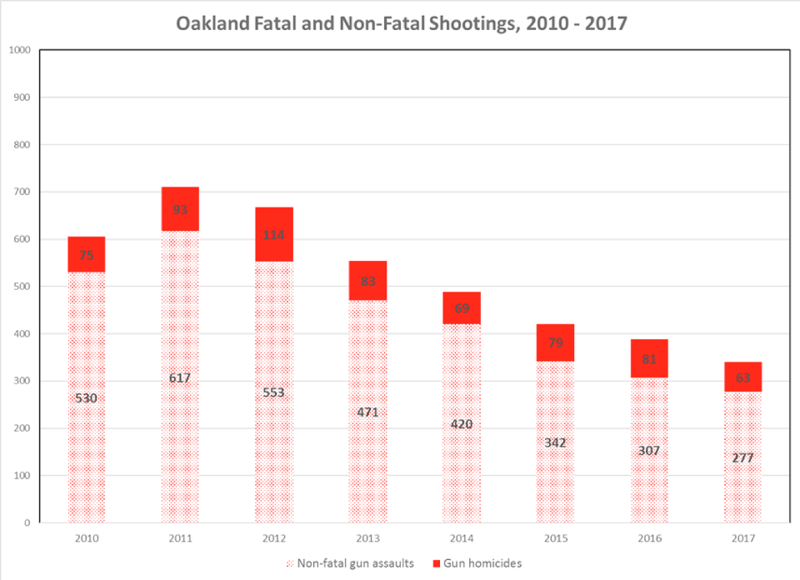 However, out of the approximately 50 violent groups in Oakland, only a small number are active at any one time and only a small subset of these groups—approximately 0.3% of the entire City’s population—is at highest risk of violence. In 2012, a group of Oakland Community Organization (OCO) pastors, alarmed by the growing number of young men of color being killed on the streets of Oakland, met with city leaders to introduce a strategy called Ceasefire. The pastors believed that a strategy that had saved so many young lives in Boston could save lives in Oakland as well. In October 2012, the Ceasefire Oakland Partnership was created by the City of Oakland and the Oakland Police Department (OPD). The Ceasefire Ceasefire Strategy continues as a policing approach and as a powerful anti-violence message to groups and individuals at highest risk of gun violence. California Partnership for Safe Communities (CPSC) is a hands-on technical advisor working with Oakland and other communities on data-driven, partnership-based violence reduction efforts. CPSC's work in Oakland focuses on reducing gun violence and reliance on incarceration, improving police-community trust, and sustaining the Ceasefire strategy. OCO (Oakland Community Organizations) is a federation of congregations, schools, and allied community organizations. Through relationships, research and action, OCO leaders live out the call to serve one another and to seek justice. Oakland Unite, a division of the Human Services Department, is dedicated to eliminating violence through a public health and trauma-informed approach. As a funder and direct service provider, Oakland Unite coordinates a network of 26 community-based organizations that provide comprehensive, culturally-responsive support services including Intensive Life Coaching, Employment and Education Support, Crisis Response, Violence Interruption/Street Outreach, and Community Engagement. Oakland Unite network agencies support those at highest-risk of being involved in violence through intense service relationships focused on healing, empowerment and personal transformation. Imani Community Church, Lakeshore Avenue Baptist Church, At Thy Word, First Mt. Sinai, New Revelation Community Church, St. Benedict’s Catholic Church as well as faith leadership from various churches throughout the Bay Area. Oakland Housing Authority, Alameda County Probation, Alameda County District Attorney, California (CA) Department of Corrections and Rehabilitation, CA Attorney General, CA Highway Patrol, U.S. Marshal, U.S. Department of Justice, U.S. Department of Homeland Security, Internal Revenue Service, Federal Bureau of Investigation, Department of Alcohol, Tobacco, Firearms and Explosives, and several local law enforcement jurisdictions work as a collaborative, focusing on individuals and groups most likely to be involved in violent crime. Victims of violence provide personal testimony of how violence changed their lives during direct communication (Call-Ins and custom notifications) with Ceasefire participants. Residents of affected neighborhoods provide a voice and presence from their community through their participation in Ceasefire Steering Committee meetings and during direct communications. 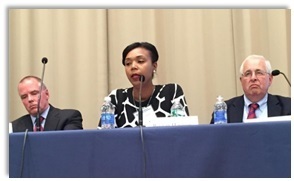 Formerly incarcerated individuals speak to young men and their families, advocating for peace. Local organizations and employers such as the Private Industry Council (PIC), Home of Chicken and Waffles, Oakland California Youth Outreach (OCYO), Civicorps, Oakland Rotary and others offer a path to employment. Ceasefire Oakland works in collaboration with the National Network for Safe Communities at John Jay College. Our strategy is constantly informed by best practices and the help of The National Network for Safe Communities. This partnership enables Oakland and communities around the United States to adopt and implement strategies that have been proven to reduce violent crime.